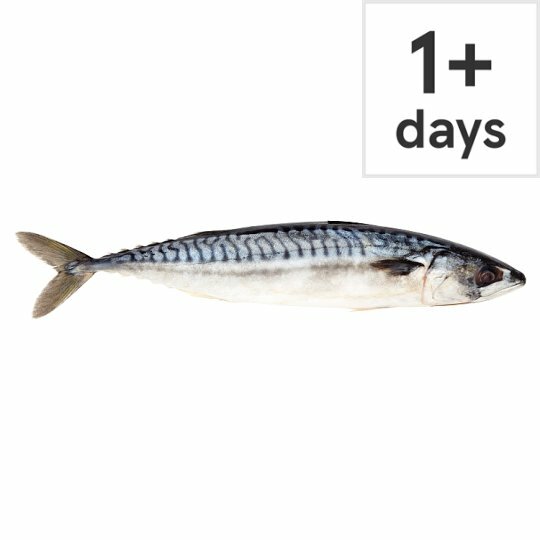 MSC whole mackerel (Scomber scombrus), defrosted, source of Omega 3. Firm and flaky texture with a rich flavour. Once gutted, score diagonally, fill with flavoured butter and oven bake. Source of Omega 3. This product comes from a fishery that has been independently certified to the MSC's standard for a well managed and sustainable fishery. www.msc.org. Contains: Contains fish and mackerel. Contains fish and mackerel.For allergens, see ingredients in bold. Contains fish.